Most teen girls are concerned with school, body image, boys and fashion. It’s not every day that they literally put their lives at risk for their hobbies and brushes with death. But one girl from Oklahoma, Harli White, lives this reality. The 18 year old is a race car driver, and has been doing this since before she probably got her actual drivers license. 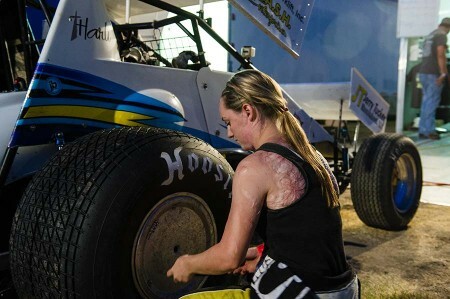 In 2008 at the age of 12 she was racing a car on a track in her home town of Lindsey, OK, when something went terrible wrong. 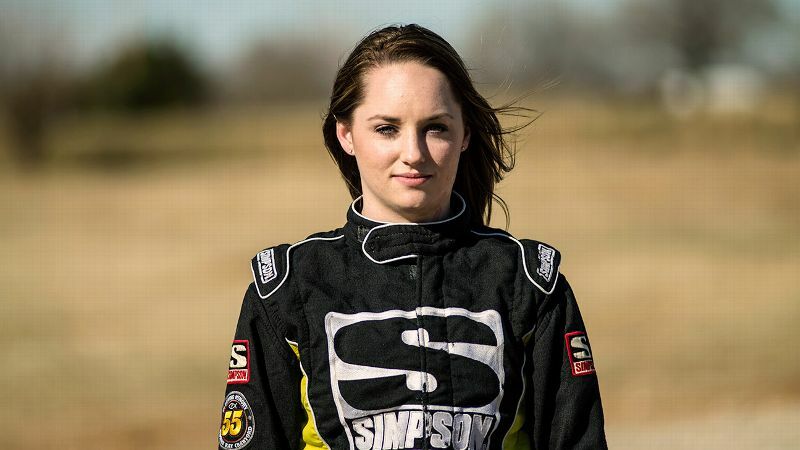 It was her very first competitive race, and her car spun into a wall. Within seconds her car was on fire and Harli was trapped. Her dad raced onto the track from the stands and tried to do something, but there was too much fire. At this point, one of her fellow competitors, a driver by the name of Donnie Ray Crawford, 20, got out of his own car and sprinted toward Harli’s which was burning out of control. Donnie Ray had his full fire retardant suit and helmet on and ran straight into the fiery furnace to rescue Harli. He became her hero and they two had never even met! Harli suffered major burns to 40% of her body, which she proudly bears as a symbol of how lucky she was to escape such an intense situation which could’ve gone horribly wrong had Donnie Ray not been. Over the next couple of years the two and their respective families became close friends and competed at the same races. The first thing on Harli’s mind after recovery was getting back onto the circuit and racing again, showing her tenacity and literal courage under fire. However in 2012 tragedy struck the pair again, this time it was worse. 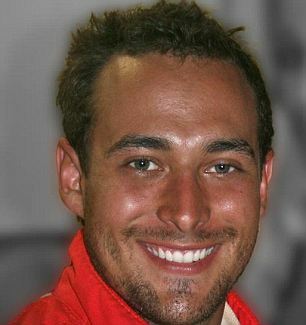 Donnie Ray was shot by his grandfather while he was at home one day preparing for a race. His grandfather suffered from a mental illness, and he also was shot during the incident. Donnie Ray was only 24. This event deeply saddened Harli, who now says she races in memory of her hero. Harlie’s story has been heard all around the world, has been featured on Oprah Winfrey’s OWN network, and is also part of an important documentary called Trial By Fire. The film aims to bring greater awareness about fire safety, and shares many stories of people who have suffered many burns to their bodies. It is also a way to encourage men and women whose appearances are altered drastically due to burns. It shows them life can get better, and that their confidence doesn’t come from what they look like. Harli’s story shows a young woman who has gone through more than the average teen girl should have to suffer. Her courage shows what is possible if you don’t give up. The strength of people around us can sometimes be the very thing that will allow us to step up. We are so in awe of this young woman’s story, even though there is a tragic element to it. We know she will continue to live her life both on and off the track with meaning because of what she has been through.